High Speed Railway services have shown that Railways are a competitive and, at the same time, an environmentally friendly transport system. The next level of improvement will be a higher degree of automation, with partial or complete automatic train operation up to fully automatic unattended driverless operation to reduce energy consumption and noise, as well as improving punctuality and comfort. Based on extensive experience in separated railway systems such as Metros, VAL (Véhicule automatique léger) and subways, today’s discussion focuses on the fully automatic train operation on regular railway lines. This introduces some questions that are more complex than in today’s systems: the performance, length and weight of the trains spreads in a wider range; there are other and more complex operations; components such as level crossings in different equipment variants are added; requirements are higher and the technological equipment point is more heterogeneous. 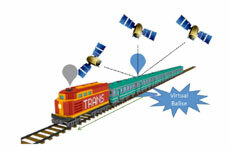 Many evolutionary or innovative approaches for railway automation rely on precise and reliable localization. Especially for higher levels of automation it is essential. Starting from existing technologies such as the European Train Control System (ETCS), moving on to advanced driver assistance systems for local automatic operation up to full automatic train operation (ATO), all of these solutions depend on knowledge of the position of the train on the network. Improved concepts for railway operation e.g. using moving block, on-board integrity supervision or virtual train sets will result in even higher requirements for accuracy and reliability of the localization. The contribution shows an approach based on Global Navigation Satellite Systems (GNSS) as a priority source of information used in combination with sensor data fusion. Elements such as trackside augmentation as well as the use of digital maps will be discussed. Different approaches are considered, e.g. those currently under development by projects in the innovation program in the joint undertaking Shift2Rail.